Here are two examples of the unique artistry of the queen of tap dancing Eleanor Powell. 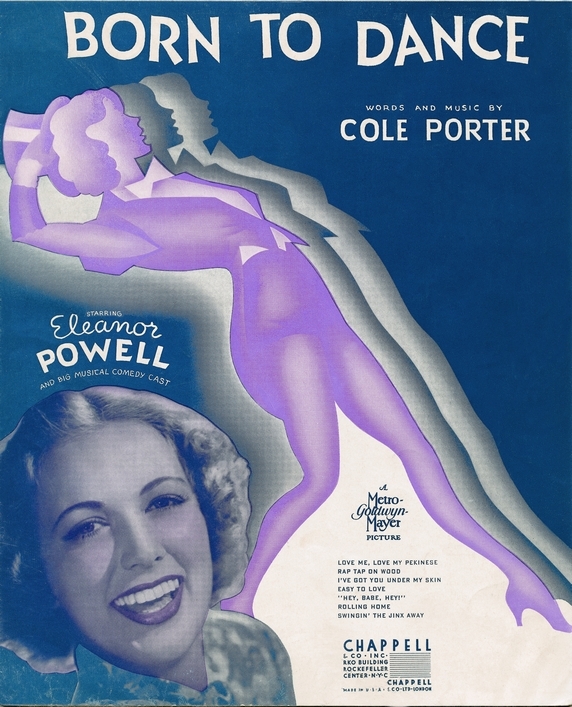 Eleanor Powell (1912 – 1982) began studying ballet aged six and began dancing at nightclubs in Atlantic City before she was a teenager. 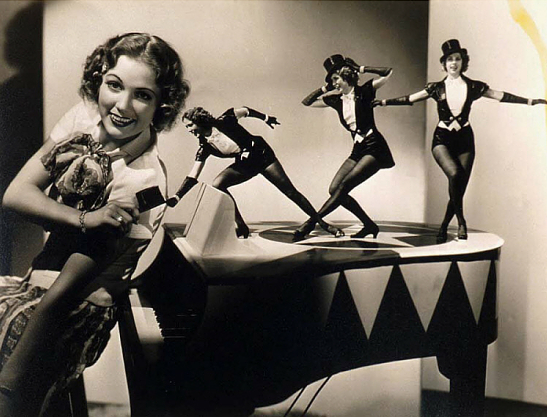 From the age of sixteen, she began studying tap and started appearing in musical revues on Broadway, before making her Hollywood debut as a featured dancer in the movie George White's Scandals (1935). 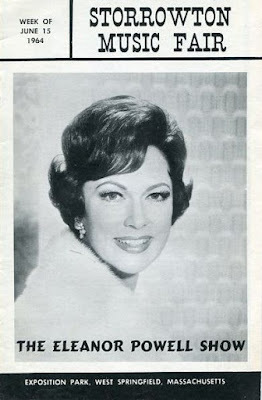 She was known as one of Metro-Goldwyn-Mayer's top dancing stars during the Golden Age of Hollywood in a series of musical vehicles tailored especially for her talents, such as Born to Dance (1936), Broadway Melody of 1938 (1937) and Rosalie (1937). In 1965, she was named the World’s Greatest Tap Dancer by the Dance Masters of America. 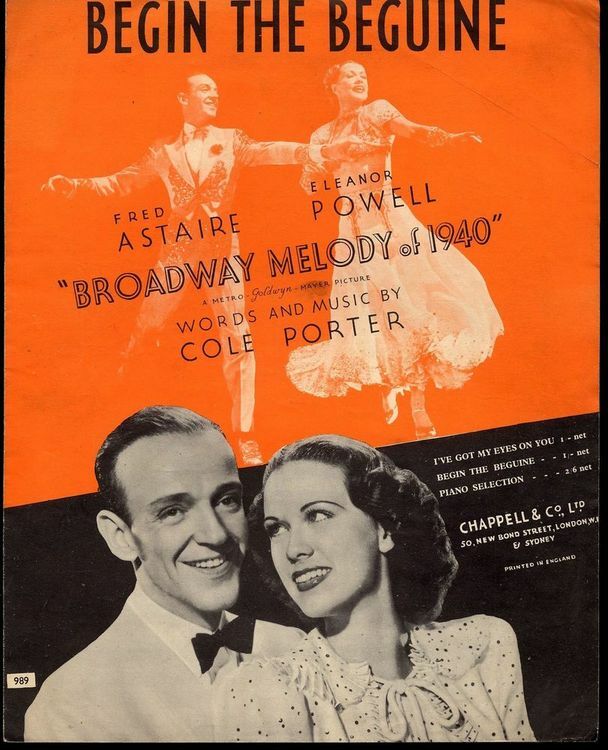 Astaire and Powell danced to Porter's "Begin the Beguine", which is considered by many to be one of the greatest tap sequences in film history. 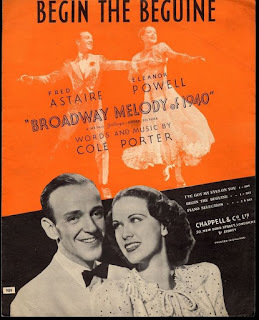 Astaire was somewhat intimidated by Powell, who was considered the only female dancer ever capable of out-dancing Astaire. In his autobiography Steps in Time, Astaire remarked, "She 'put 'em down like a man', no ricky-ticky-sissy stuff with Ellie. She really knocked out a tap dance in a class by herself." Frank Sinatra said, "You know, you can wait around and hope, but you'll never see the likes of this again." 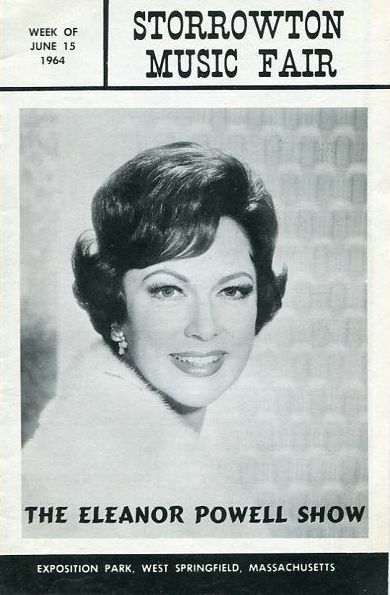 Powell was reintroduced to audiences in the popular That's Entertainment! documentary in 1974, and its sequels That's Entertainment Part II (1976) and That's Entertainment! III (1994) and the related film That's Dancing! 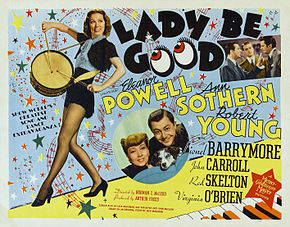 (1985) which spotlight her dancing from films such as Broadway Melody of 1940, Lady Be Good, and Born to Dance. 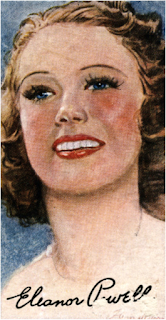 She is one of only a few performers to be the subject of spotlight segments (as opposed to being included in a montage with other performers) in all four films. That's Entertainment! III is notable for including behind-the-scenes footage of her "Fascinatin' Rhythm" routine from Lady Be Good. 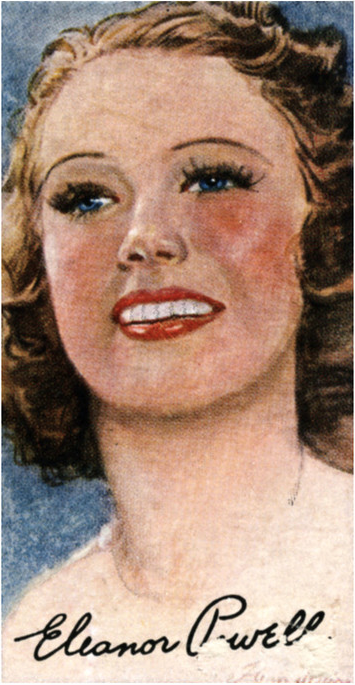 Enjoy Eleanor Powell's incredible talent!